No matter how careful you are when driving, a sudden twist of fate can lead to an accident on the road. Truck accidents can happen anytime and usually, the injured victim is the one on the other vehicle, not in the truck. If you or someone close to you is injured in a truck accident, it is important that you immediately contact a truck accident lawyer to help you get a fair settlement. However, to receive the compensation you or your loved one needs for recovery, you must be able to provide proof that the truck driver was at fault and that the injuries were the result of the accident. 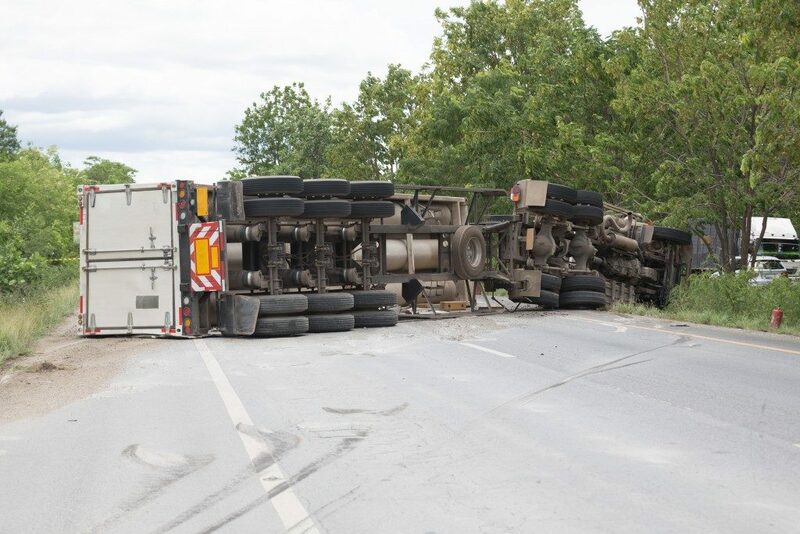 Your truck accident lawyer can help you gather the following evidence that you need in filing a truck accident lawsuit. After the accident happens, the police are notified immediately of the incident. When the police arrives at the scene, they gather all the information surrounding the accident. Information such as statements of witnesses, who were involved, or the place where the accident occurred are important details that you can use in filing an accident lawsuit. While you can use the police report as evidence, you shouldn’t solely rely on it to help you support your case. Truck accident lawyers investigate deeper into the scene, searching for details that the police may have not considered. Truck accidents lawyers will also talk to witnesses to get a clearer picture of what happened before, during, and after the incident. Federal driving laws require truck drivers to drive only for a specific number of consecutive hours. Truck drivers are required to log their driving hours into the driving log either on a weekly or daily basis. The driving log will show how long the truck driver has been driving when the accident happened, which is a crucial piece of information in building your case. Vehicle damage may be able to indicate which party is the erring one. If the truck involved in the crash is under a commercial company, it is likely that the company’s insurance provider will also conduct its own assessment. If you contact a truck accident lawyer immediately, they will be able to consult with insurance experts to determine the extent of damage and how much the repair costs will be. Having a lawyer on your side will prevent the truck’s insurance company from denying your claims or forcing you to accept a settlement offer that may not fully compensate for your medical needs and other compensatory or non-compensatory (emotional and mental distress, physical disability, and the like) damages. If found necessary, the police may require you or whoever is driving your vehicle and the truck driver to take sobriety tests. These tests will determine if you or the other party is driving under the influence of alcohol or drugs. It is important for your accident attorney to obtain a copy of the sobriety test results as it will help determine which party is negligent. Being involved in a truck accident is a life-changing experience. If the injuries you or your loved one sustained are severe, you may not be physically capable of gathering the above-mentioned evidence, making it more important to get in touch with a truck accident lawyer right away.